This guesthouse feels fresh and new compared to many in town and will suit even the fussiest budget traveller. Each room comes with a fairly comfortable bed with newish sheets, bright clean floors, TV, sparkling bathrooms and seemingly regular maintenance such that nothing appears to be broken or falling apart. The free WiFi is accessible in all of the rooms and the owner is a helpful chap eager to help out with onward bookings. This place is at the downriver end of town about 200 metres from the Gibbon Experience office, located directly across from the school. Check it out for something civilised and above a bare bones cheapie. 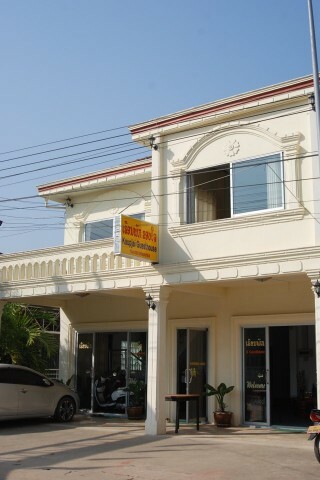 Where are you planning on heading to after Huay Xai? Here are some spots commonly visited from here, or click here to see a full destination list for Laos.